When I was a child we drank powdered juice. I remember digging deep into the bag of powder and scooping out a heaping spoonful of powder, then adding cold tap water, and stirring together in a tall jug. There was nothing so terrible as not adding enough powder and tasting only orange-flavoured water. When I was a young adult living on my own, I wouldn’t buy anything less than “not from concentrate” juices believing them to be healthier than concentrated variety. I prided myself on buying only apple, orange, and pineapple juice for my children when they were young. I even turned my nose up at mother’s who allowed their kids to drink pop. I believed that by drinking juice I was making the healthier choice. Herein lies the lie. Juice is full of sugar! A single 12-ounce glass of orange juice contains almost the same amount of sugar as is found in a 12-ounce can of Coke! 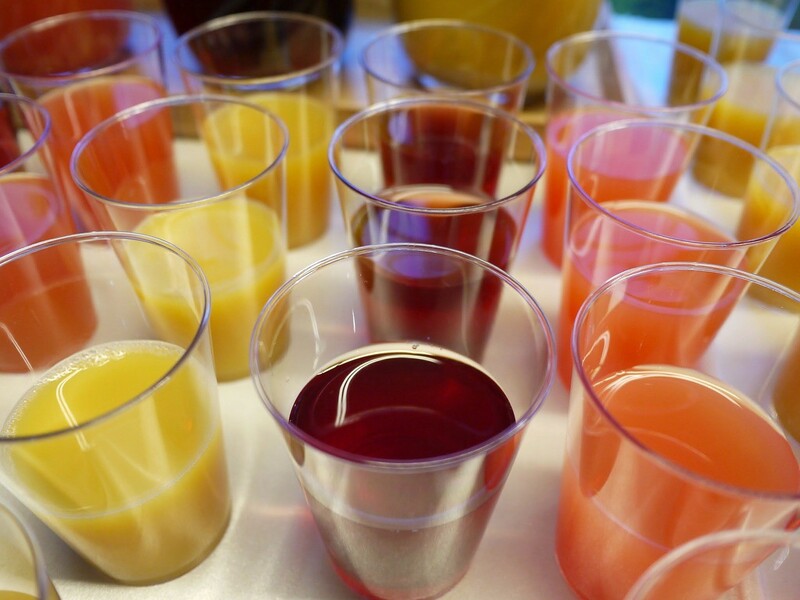 All fruit juices contain significant amounts of sugar that make your blood sugar levels spike. Because of this the new Health Canada’s Food Guide even goes so far to discourage drinking juice and reaching for a glass of water instead as the beverage of choice. Although I love fruit and there are many benefits to eating it, juice doesn’t have the same benefits as it lacks the fibre. Fibre helps to slow down the metabolism of sugar and helps prevent the insulin spike in your blood. So instead of reaching for a glass of juice, bite into an orange with a side of water.